If you are planning to visit Indonesia in the future, you have to know the beautiful places to visit. We compiled 30 destination for you who plans to visit Indonesia. Happy holiday! 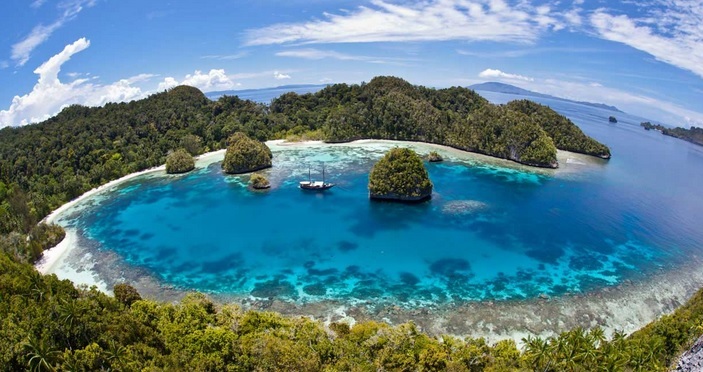 Raja Ampat or The Four Kings are an area of islands located in the north side of West Papua. Home of stunning marine biodiversity. Toursit can access this place by boat from Sorong City. There are four major island that tourist can visit, such as Misool, Batanta, Salawati, and Waigeo. This is the place that is perfect for diving. One of the best diving spot in the world. Raja Ampat marine landscape offers you the best underwater experience in Indonesia. There are more than 500 type of coral reef, 700 mollusks species, and 1,300 type of fish species. 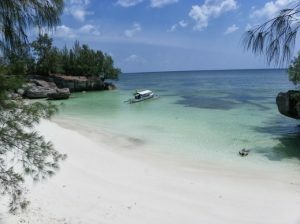 Many called this place a heaven for divers and certainly Indonesia’s most top tourist destination. If diving is not your thing. Raja Ampat also serves a perfect place for birdwatching activity with more than 500 bird species you can see. The famous one is called Cendrawasih or Bird of Paradise, a local bird you can only find it here and not anywhere in the world. If climbing is the activity you’re really into it, then Carstensz Pyramid is the one place you must visit. 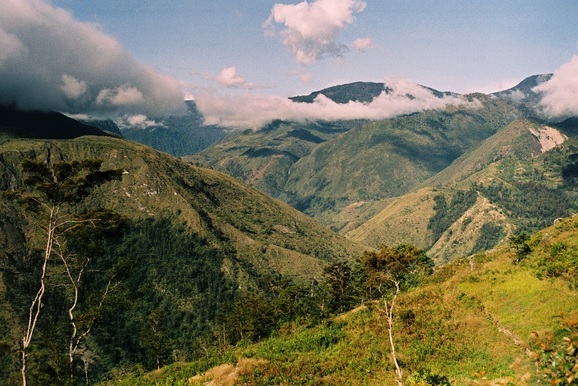 At 4.844 meter of elevation it is the fifth highest mountain id Southeast Asia, and the highest landscape in Papua. Always covered in ice due to its height. 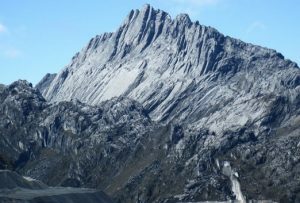 Carstensz Pyramid located in Sudirman Range of the western central highlands. The perfect place to test your climbing ability, with routes and landscape offering much difficulty. Carstensz Pyramid is unique in Indonesia. Why? Eventhough Indonesia has a tropical climate, here you can see tha the mountain has snow on top of it. A strange phenomenon that certainly a feast for the eyes. But due to global warming. It’s snow is expected to melt and dry up in 2024. This calculation is based on the analysis of empirical data using a linear approach. The study that has been done by Indonesian Agency of Meteorological, Climatological, and Geophysics (BMKG). So in the near future it is not impossible that one day, Carstensz Pyramid will have no snow like the one in Kilimanjaro Africa. Carstensz is known as one of several most difficult mountains to climb in the world. To visit here, you should go from Jayawijaya District. Just like many provinces in Indonesia. Papua is home to some of Indonesia’s unique tribe. While you are in Jayawijaya District, A visit to Baliem Valley is a must. Here tourist can interact with local tribe, Dani tribe and get acquintaced with it’s unique culture and tradition. 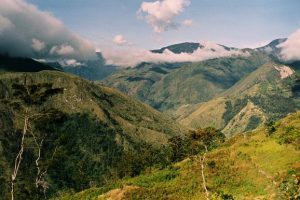 Baliem Valley located on the foot of Carstensz Mountain. Baliem offers a great scenery. A landscape shrouded with greeneries and hilly landscape. Here you can see a traditional local house with 100 percent material from natural forest that surround Papua. Visit this place around mid August and you can see Baliem Festival, a local fest that celebrate productiveness and fertility of the land, and also serve a traditional tribal war, pig race and food bazzar. In Baliem Valley you will be taken into a different kind of Indonesia. A place of very unique culture and landscape that you cannot experience in any other countries. Indeed, this is one of the greatest things to do in Indonesia. Borneo is another archipelago of islands in Indonesia that should be visited due to its wonderful underwater landscape, marine life, and fantastic local market. Also, this is one of the best places to visit in Indonesia. A province located in East Kalimantan. Located in Berau District, East Borneo. 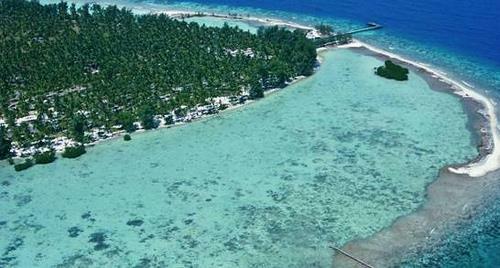 Derawan is known to the world as one of the perfect spot for diving. Its marine life has rich bio-diversity. There are around 31 island that you can explore. Just like Raja Ampat, diving is the main activity you must experience in this place. Toursit can see more that 800 species of fish. All swimming near a colorful corals reef. Beside coral reefs, at certain times, if you are lucky enough, you can see unique species like whales, dolphins, coconut crabs, and dugongs. 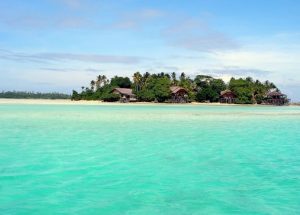 Derawan is part of Coral Triangle, an area which contains one of the richest bio-diversity on the planet. Some of the islands here are the home of green turtle and also home of the protected species like giants clam and coconut crab. It is also the place of unpoisoned jellyfish, where you can swim with hundreds of jellyfish without feeling the sting it is known for. Yes, this is one of the coolest Indonesia attractions. There many options to stay at Derawan Islands. From motel, luxurious resort to homestay provided by local people. You should calculate your budget if you are planning to visit this stunning area. Floating Market is one of the unique attraction in Borneo. It is located on Barito River, in Banjarmasin, just south of Borneo. The people do tradings and selling things from their wooden boat. The best time to visit this place is in the morning, where things can go a little hectic but truly is a sight to see. Sail along the river is also an option where you can get a spectacular view of how the locals lives. 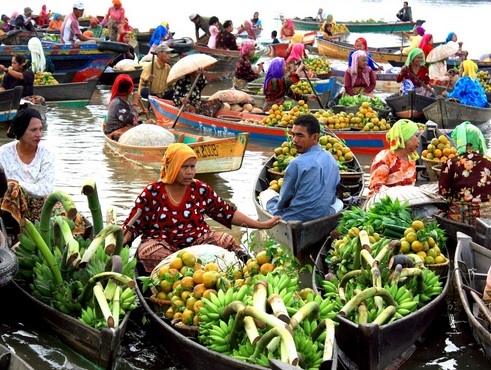 Floating Market is an unique market you could see in some other places in Indonesia. But Borneo Floating Market is one of the largest and a culture of Banjar people that has been introduce since more that 50 years ago. What could you do in Borneo Floating Market? You can act like locals. Selling and buying things like vegetables, fruits and meat with quite a reasonable and afforadable price. Don’t forget to do bargain, since it is a common act here in Indonesia. 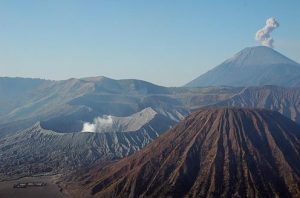 The great Mount Bromo is located in Bromo Tengger Semeru National Park. The mountain that is another must visit tourist destination in Indonesia due to its stunning landscape. With the heights of 2.329 meter, Mount Bromo is well known for its sunrise spotting. For the best experience, you should climb the mountain in the afternoon, and then stay there for a night in local homestay. The sunrise process is one of the best in the world. With stunning ray of light, and hilly landscape. To go here, you should go to Malang region in East Java first. Bromo has an excellent view of crater. If you ever need a place to take a selfie here’s the best one yet. Each year thousands of tourist flock this area. From local people to worldwide tourist. Each year this is the place for a local Hindu festival called Yadnya Kasada, where the Tenggerese people from Probolinggo walks up to the mountain, and make an offering containing fruit, rice, vegetables, flowers to the mountain gods by throwing them into the caldera. Meanwhile, this is one of the best Indonesia points of interest. If you ever want to experience safari like in the Africa, then Baluran is the place that you must come and visit. 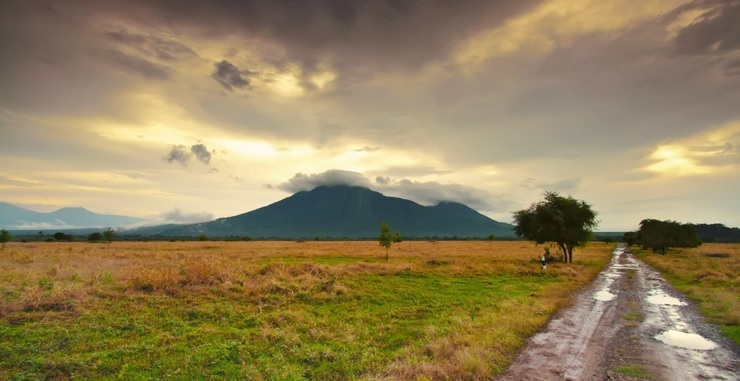 Baluran National Park located in Situbondo District, East Java. A quite unique area among all tourism places in Indonesia. It has an open field of savanna. Full of local wildlife like Banteng, Kancil, Peacocks and other varieties of animal. Here you have the opportunity to observe them in the wild. In their natural environment. Baluran National Park has a relatively dry climate, with lowland forests, mangrove and Mount Baluran with the height of 1.246 meter. The total area of the park is 25.000 hectare. Home of 26 species of mammals and 155 species of bird, including rare type like green peafowl and Malabar pied hornbill. If you are looking for beaches and want to dive, fish, or swim then head to Barma, Balanan, and Bilik beach, soft sandy beaches and blue water is truly a feast for the eyes. You can enjoy underwater scenery also in Popongan, Kalitopo, Sirontoh, Sejile. Nature and wildlife environment is the centre of attraction in this place. Just like watching a piece from Discovery Channel. This natural park located in the Bunaken Islands, near centre city of Manado. You will be entertain by different variety of marine life. There are 90 different fish species and an amazing line up of 13 coral reef species. Again if you are a diver, a visit to this place is a must. Two diving spot that you cannot miss are Manado Tua and Bunaken. 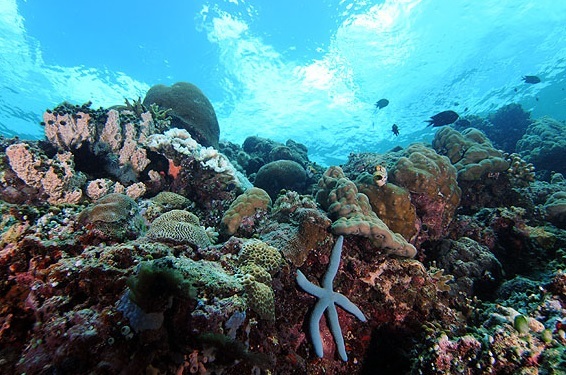 Bunaken has 13 type of coral reefs. Spread throughout the waters of Bunaken National Park, which is dominated by fringing and barrier reefs. The most interesting aspect is a vertical cliff underwater that is stretch as far as 25-50 meters deep. In Bunaken not only you can see many marine species, they also sell a unique souvenirs and tourism gift. Here you can stay at a five star resort or rent a house of the local people. Where most people work as fishermen or farmers. Since tourism explode in this area, many are working as dive guide, boat operaters and cottage staff. Located 50 kilometes from Makassar, Bantimurung is a national park fame for its 43.750 hectares of karst area and consist of 286 caves, including 16 pre-historic caves that situated in Maros Regency. There are two places that you can visit, Bantimurung Waterfall, a 15 meter tall waterfall that is a major attraction, and Butterfly Conservation Captivity, a butterfly breeding institute where you can find more than a hundreds species of butterfly. Near the butterfly center, there’s a waterfall that make you more relaxed. This national park is in South Sulawesi. 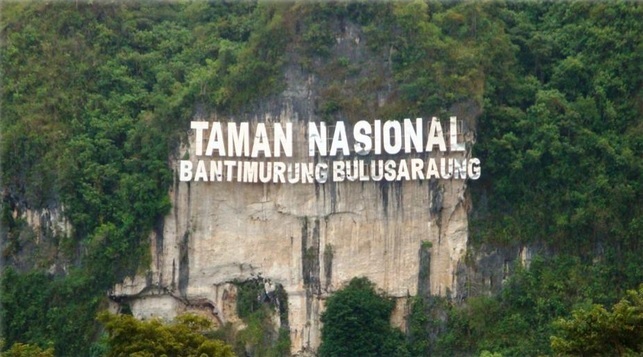 Here, you can visit at least two places: Bantimurung Waterfall and Butterfly Conservation Captivity. The butterfly conservation offers you many butterfly species that can be observed. Near the butterfly center is the waterfall where you can relax and enjoy the natural environment. Bantimurung is also the place of endemic species like Macaca Maura, the black monkey and Tarsius tersier, a small nocturnal animal with huge pretty eyes that are so captivating. 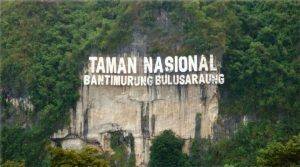 A visit to this park, you must do caving activity where you can explore hidden caves and unique rock formations.Bulusaraung”. Selayar Island is an area covering 903 square kilometer. Consist of 73 small island, with the main one is Selayar Island. This island is full of white beaches that will attract your attention. A combination of white soft sandy beach and blue water is sight for the eyes. Some of the most fantastic beaches are Je’neiya Beach, Pinang Beach, and Baloiya Beach. All of the beach is very popular with its white sand. Where you can relax on top of it and getting in touch with what nature has to offer. Selayar Island is also a must recommended place for those who require a relaxation and wants to refresh the brain. In this beaches, you can do all kind of water activity. From snorkeling to diving. Another thing to do is watching The Dongson Kettledrum, the ancient kettledrum from local people. Selayar Island serve a cheapest tour for you who crave a low budget traveling. All the facility here is cheap and standard but has some comfortability. Known as the Seven Wonders of the World. This temple consist of 2.672 reliefs and 504 statues. All made with hands and has been around for more that 100 years old. In this majestic temple you learn the history of Syailendra Dynasty and Buddhist stories from the reliefs that has been carved around the temple. It is also knows for a great sport to see the sunrise in Central Java. Borobudur temple is one of the biggest Buddhism temple in the world. A great architecture of its era. A majestic construction done with such limited architecture technolongy. According to local people, one must touch one of its Buddha statue located inside a stupa if one want one wish to come true. You can access this site using public commuter or rent a local van or bus. 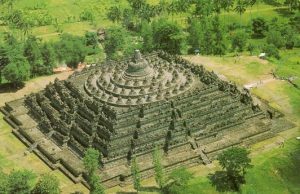 Borobudur Temple is located in Magelang, just an hour ride from Yogyakarta. There are several hotel with amazing scenery around this site. A stay for two nights in this places is a must. If you want to experience Borobudur at it’s majestic moment. The largest Hindu temple in Indonesia and one of the biggest in Southeast Asia. 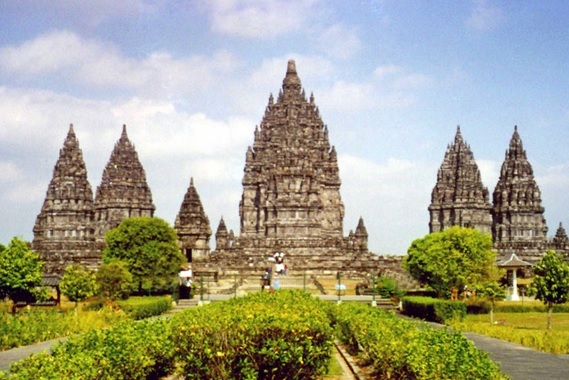 Prambanan is located on the east border between Yogyakarta and Central Java. 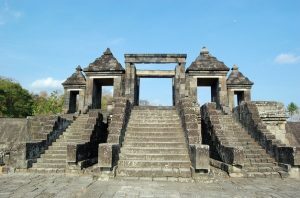 Built by the Mataram Kingdom and serves an architectural wonder, with stone carving and relief. This large complex temple built in 10th century is dedicated to the god Shiva. A visit to this place, you can enjoy the unique carve relief and also witness an amazing theatre performance called Ramayan ballet. Usully held during May to October in the full moon days. The show featuring a rich cultural traditions and stories. One of the most favourite is how the temple was built and a love story surrounding it. Prambanan Temple is a masterpiece of human creativity. The biggest and expansive example of Hindu religion in a country surrounded by Muslim religion. The best time to visit here is at night where the lighting setting makes this place so magical and truly a beautiful sight to see. 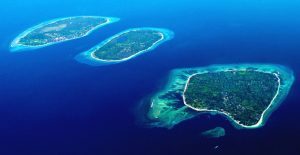 An archipelago consist of 27 island in the Java Sea. You can access this place through Jepara, with distance around 80 kilometer. The main island is Karimun, where Javanese culture is so dominant. This place serves a fantastic destination for beach goers. You can do snorkeling, wreck diving, trekking. The underwater scenery is full of life. With lots of species and interesting shape of coral reefs. In the land, you can do wild life watching with animals like deer, sea eagles and many other local animalts. The island located just the north side of Central Java. Karimunjawa has 1.500 hectares of lands and more than 100.000 hectares of water area. Indonesian Government will manage Karimunjawa as a marine park to boost more foreight and local tourist. You will never forget this natural sea environment after a visit to this place. Visit to this island in dry season is a must, between end of April to July. Come in rainy season, you tend to get stuck due to the bad weather which is not possible for boat to operate. 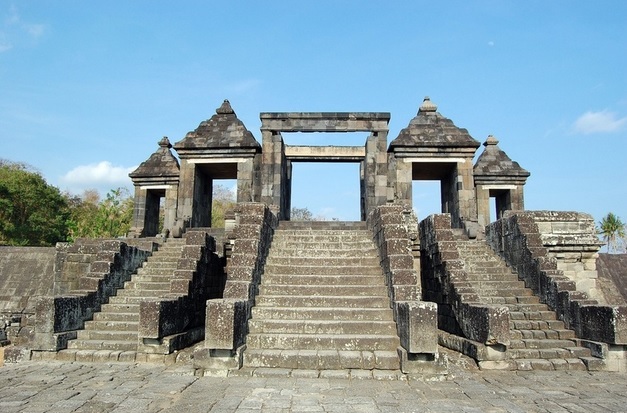 Boko temple is an archielogical site just three kilometers from Prambanan Temple. A majestic site located in Boko Hill that is surrounded by green landscape and hills. Many favours this ruin as the perfect spot for a magical wedding due to its unique architecture and rich history. Also in this place is where you can experience the best sunset in Central Java. Ratu Boko Temple is unique because of its amazing combination architecture of Hindu and Buddhist. There are three level, a visit on the east side is where you can find two caves: Lanang Caves and Wadon. One represent male genital and the other is woman genital. A guided tour about this place is usually provided by many tour operator. If you want panoramic beauty, head to Plaza Andrawina, which often a popular spot for television ads and pre-wedding photoshoot. Here you can witness the landscape surrounding Magelang region and a view of Yogyakarta city from a far. A living museum of Javanese culture. And home of the Sultan of Yogyakarta and his family. A place where you can learn a Javanese culture and way of life well preserved. A sacred and unique palace complex, full of traditional arts. There are many things you can see at Yogyakarta Palace. Ranging from seeing the activity of the servants to seeing properties collection of the palace. With some dated hundreds of years. From ceramics to glasswares, to weapon and traditional Batik material. A must see attraction is the Batik Museum which has been inaugurated by Sri Sultan Hamengkubuwono X in 2005. Here they showcase a diverse pattern of Batik. Each with specific meaning and symbolize value. 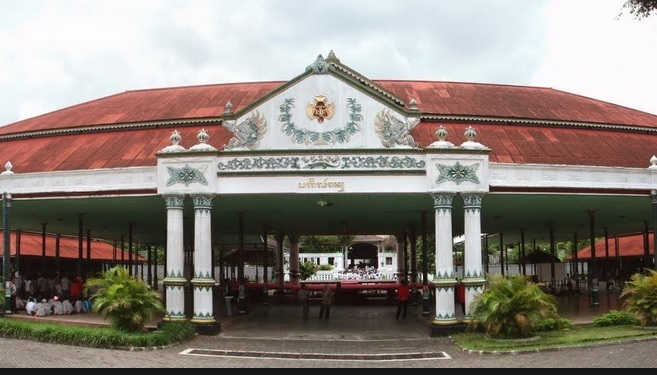 Tourist can also learn to write and speak Javanese through a special workshop you can find inside the complex, for ladies there are dance classes where you will learn traditional Javanese dance and learn how to be a puppeteers. Yogyakarta Palace open from Monday to Sunday. Just two hours ride from the central city of Bandung. Tangkuban Perahu is stratovolcano that last erupted in 1983. Today it’s crater has been the center of tourist attraction. 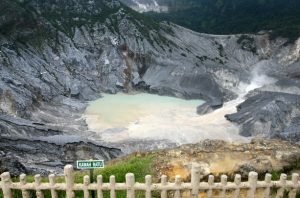 You can take a hike to see the famous crater with hot water springs and boling mud pool. The legend tells that the crater is an upturned boat, a last memory of the boy Sangkuriang who fall in love with his own mother Dayang Sumbi. 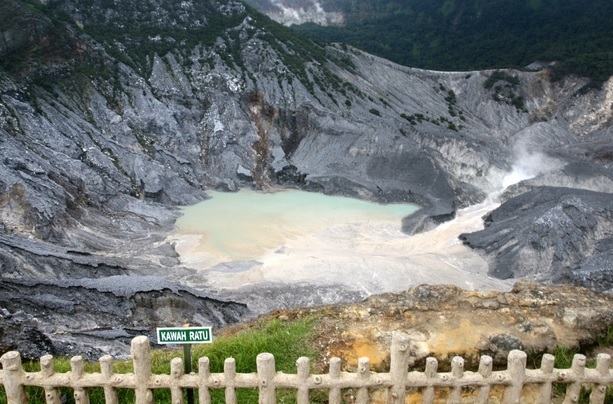 With beautiful with landscape cover in ashes, Tangkuban Perahu has been a major tourist attraction in West Java. People from all over the world come and visit this beautiful crater. Some has been using it also as a fashion shoot destination. Those who interested in exploring this wonderful crater should at least spend the whole day here. As the place serves some fantastic photo spot. Upon entering the Tangkuban Perahu area, tourist will be treated of a pine forest view that line up beautifully on the side of the road. One of several volcanic mountain located in the Sunda Straits, last erupted in March 2014, Krakatau is one of the famous tourist attraction in West Java. To get here tourist must ride a boat from Anyer or Carita beach, area near Banten. The last catastrophic eruption dated back 200 years ago, that cause some severe weather changes in Asia region and killed more than 36.000 people. Though still active, tourist can do hiking in its hilly landscape and do wildlife watching activity. With species to see like reptile, birds, insects, and other marine creatures. The tour some tour operator provided will take you travel back in time, where primaeval forests roams the land. You can explore its jungle canopies, hidden caverns and visit some of its remote beaches. 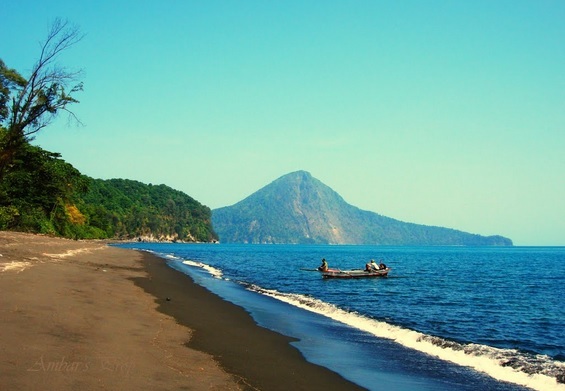 Another site you can visit are Anak Krakatoa, a small volcanic mountain that appear more than 200 years ago. 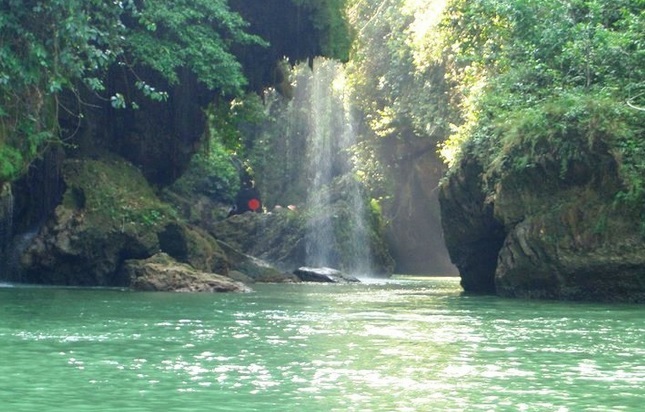 Green Canyon is the place for those who crave for some adventureous activity. 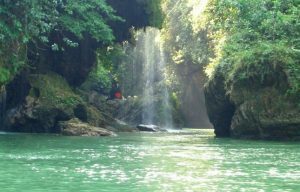 Also called Cukang Taneuh in local Sundanese, this great canyon located in Pangandaran, around five hours ride from Bandung. The main attraction of this place is the river tour that tourist can experience. With sheer tall cliff and green river water, tourist can explore the river flow which has a depth of five to 10 meters deep. It’s green coloured come from the reflection of the surrounding tree and leafs. River rafting is one of the most famous activity, with body rafting as the number one popular things to do. Another tourism object is the conservation of turtles and also a visit to some of the most unique rock formation in the area Batu Karas, Batu Hiu. Entry price is quite cheap and affordable.To get here you can take a big bus, or the best option is to rent a car and drive yourself from Bandung area. This natural area best explored during rainy season where water of the river is at the fullest and stream flowing rapidly to ensure that you have the best time of your life. 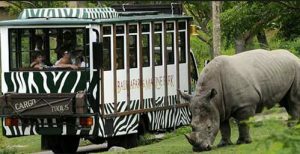 The most famous safari park and tourist destination in the Bogor area, Taman Safari has been long a popular family places, where children and adults can enjoy wildlife encounter in a lush jungle area. Covers an area of 170 hectares, inside you can find a collection of 2.500 animals from Bengal Tigers, Malayan Sun Bears, to Komodo Dragons. Open since 1990, it’s latest attraction is penguin and panda that has been brought exclusively from China. Here you can do a safari tour by personal car, where you’ll be taken into a special route visiting animals and interact with them upclose and personal. After the one and half hour tour, you can visit the park attraction. Tourist can see a elephant circus, penguins, and bears. Lots of restaurant here serves international and local food which can fulfill your stomache all day long. Don’t miss a chance for photograph session with animals such as Orang Utan, Tigers, and White Tigers. 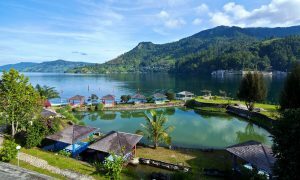 Sits on the north side of Sumatra, Lake Toba is one of Indonesia’s natural wonders.This natural lake was once a volcano caldera. It stretches 100 kilometers long, with 30 kilometers wide and a depth up to 505 meters. 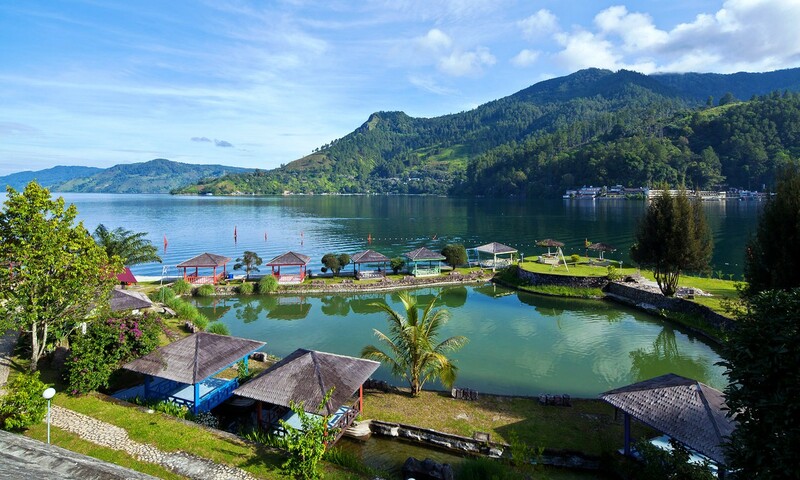 Its amazing size makes Lake Toba the largest volcanic lake in the world and in Indonesia. To visit this place you must fly to Medan and drive four to six hours by car. The island which is located in the middle, called Samosir Island is famous for its scenery where you can do bicycle ride and trekking around the island. It is also the cultural centre of the Batak tribe, who mostly Christians. It’s jungle is also a populer spot for relaxing and laid back place to chill. A quite famous place for the Chinese and Japanese tourist. On Lake Toba, you can also ride the famous Batak canoe called solu, a 10-15 meter long wooden boat with decorated carvings. If you were looking for a great experience on the Lake Toba, a visit to this place in the morning is a must. You can enjoy the quietness of the lake and also the breeze of cold air surrounding the lake and island. Weh is an island located on the northern tip of Sumatra, just on the north of Banda Aceh. You can access this island from its Balohang port on the town Sabang. Weh Island is knows for its ecosystem where diving is the best activity one must do to really enjoy what the nature surrounds has to offer. Here you can watch megamouth shark weighing in at 14 kilogram and 1,7 meter length. If you craving for some beaches, Weh Island does not disappoint. There are three beach one must visit. Anoi Itam is a black sandy beach, Gapang Beach has a relaxing and calm waters, and Iboih Beach, a sandy white beach that stretches for 150 meter. Favourite among backpackers. Beside the amazing array of underwater species, Weh also knows for its endemic species of toad. Their existence is cause by heavy forestation on the island. Called the island of the Dragons, this is the place where you can watch rare species Komodo Dragon in the wild. It’s beauty is known worldwide. Gwyneth Paltrow, American artist once had vacation here with her family. Visiting the national park and witnessing the prehistoric animal, Komodo Dragon. Komodo National Park located in Nusa Tenggara Timur, east of Indonesia, this national park has an area of total 1.733 square kilometer. In 1991, the park declared a World Heritage by UNESCO. The turquoise water surrounding this island is also a favourite for local and world divers. Claimed to be one of the best in the world and second best in Indonesia.It has a rich marine bio-diversity, because a part of the Coral Triangle area. Trekking is one of the best activity beside diving. 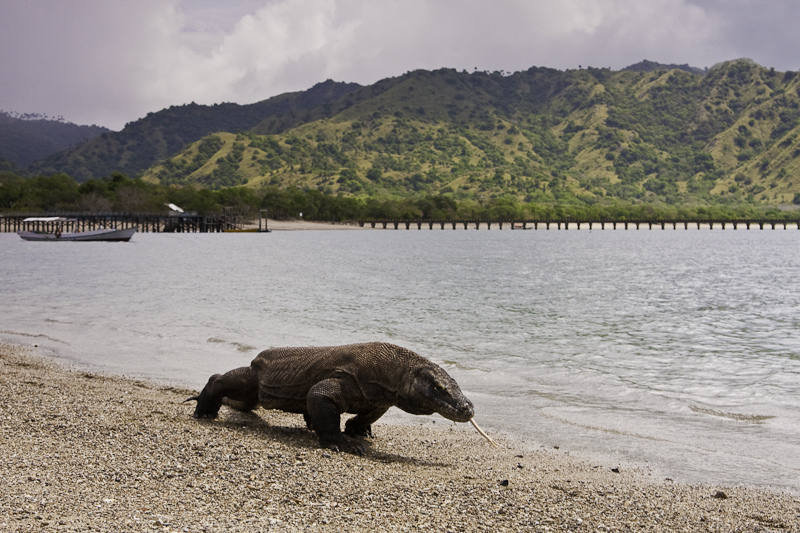 On land, you can witness the life of Komodo Dragon, a rare species dubbed the modern day dragon. An animal you can only find it here not anywhere in the world. A tour guide to watch this animal is held throughout the year. You can get closed to see how they eat, and interact with their own kind. Komodo National Park is also famous for its lush landscape. Come dry season you will be treated by a view of brown savannah, but in wet season a lush green field covers the hilly area. Flores is definitely the place to obsere the Toraja culture and also enjoy one of the most unique lake in the world, Kelimutu Lake. 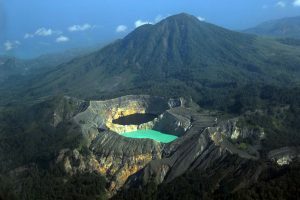 Kelimutu Lake is a world wonder. The natural beauty. The beautiful lush landscape surrounded it. It is a sight that is memorable for a journey. Kelimutu located in a small town of Moni in Central Flores. A volcano mountain just 50 kilometer of Ende, it has 1.639 meter of elevation. Making it one of the high grounds in Flores. Kelimutu lake consist of three coloured lake. Varying from each other and changes time in time. Usually it is coloured blue, green, or red. Depending on the season and weather. The local people believe Kelimut Lake are the homes of the dead. The place for departed souls. The best time to visit this lake is in dry season, around May to September. Again like any mountain in Indonesia. best come here before sunrise. You can see the most spectacular view Flores has to offer. Gorgeous tribal culture, fantastic scenery of hills and greenery. 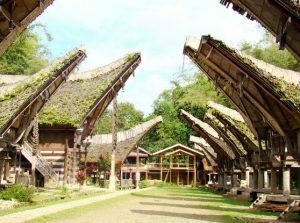 Tana Toraja is the one destination for you who craved some nature tourism. A good place to explore this region is a visit to Rantepoao, the capital of Toraja which is surrounded by traditional villages, that is still well preserved until today. You can find many guide here. Head to Ke’te Kesu, for a stunning experiences of Toraja culture. Where the famous village in the south Rantepoao has a cave with several graves. Here you can also see tongkonan, a traditional housing of local people with its unique shape. Toraja has a unique country side landscape with fields and fields of rice terraces, mountain side, and huge cliff. One thing that you should not miss when visiting this place is trying the local Toraja coffee. Their plantation are among Indonesia’s best coffee producer. A visit to a local wood carver is also a cultural experience one must try. They made an excellent piece of tau tau, a wood carving of a person to respect the one who pass away. Long been called the next Bali, Lombok, just like its neighbor, are a land filled with fantastic beaches and laid back atmosphere. While you are in Nusa Tenggara, a visit to Lombok is a must. And if you ever visit Lombok. A vacation to the island of Gili’s is also a must. There are many small island in Lombok, but only three Gili that is worth the time and budget. Gili Air, Gili Meno, Gili Trawangan. This is islands filled with high-end resorts to two star backpacker style accommodation. Ranging from Rp.250.000 to Rp.3.000.000. These three gili serve a fantastic stunning scenery. A combination of white sandy beach and clear sea water. Where relaxing on the beach is a must try activity. A must try restaurant here are Le Petit Grill, that has great selection of burgers at reasonable price, and also Scallywags, which serves fantastic seafood menu that is too die for. When you have an unlimited budget. Try watching the sunset by hiring Dragoon 130, an old pinisi boat turned modern luxury where the deck is transform into a fantastic porch filled with comfy sofa and also a bar that has a great cocktail. Then, there are many top Lombok Attractions that you must visit. 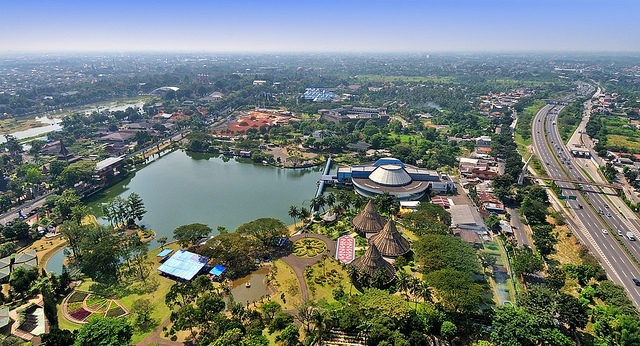 The capital of Indonesia knowns for its Dutch history. Now has a great lineup of restaurant and five star hotels. This 145 hectare of land is an idea of presenting Indonesia in a much miniature scale. Here you can see all the summarize of Indonesia rich culture and tribe. With only Rp.10.000 access fee, you can see the park 26 replicas of Indonesia’s traditional houses. Along with its arts and history. In the middle of the park is where you can see the replica of Indonesia’s island. That is being made in the lake. It is a cultural based recreational area. Where people can study Indonesia rich culture. For kids there are plenty playground to try. From roller coaster, to 3D museum show. Recently, the have installed a Dinosaurs park where you can see prehistoric animal in sheer gigantic size. One of Taman Mini Indonesia attraction is their park which has many as 15 parks worth the stroll. Best to come here in the morning, so you do not get stuck in line with other people trying to get in to the park. If you want to see Jakarta in the old days. Then this is the place to visit. This the neighbourhood where Jakarta first born. Known as Old Batavia it is located in the North Jakarta. 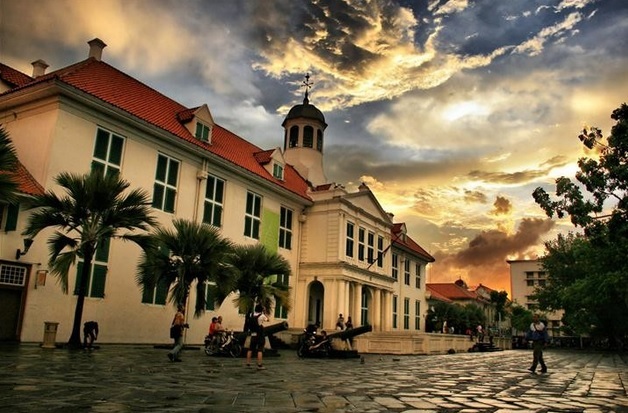 You can visit the Jakarta History Museum, that housed on the original town hall dated back 17th century ago. The capital of Dutch East Indies and Center of the Asian Spice Trade. In 2014 under Governor Joko Widodo, the restoration plan of Kota Tua is well underway. Now it is house a art gallery previously placed in old Kota Post Office building built in 1929. The Taman Fatahillah Square now hold a perfect place for photoshoot. Where many held a pre-wed photos here. Nowadays 16 building has been restorate, and will also feature a hotel named Tugu Hotel. Come by on the weekend where you can see local performers doing a culture performance in Fatahillah Square. Also a must try is a visit to Café Batavia, where you can enjoy lunch with menus ranging from gado-gado to perfectly cooked steak meat. 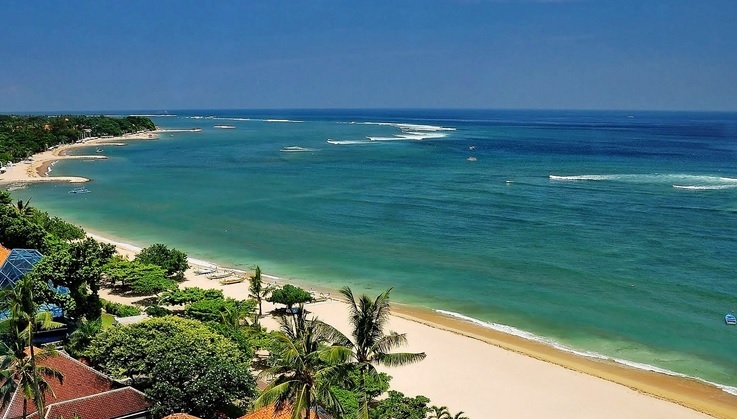 As we know, Bali offers many peaceful beaches to every visitor. It is a great place to escape. If you are bored of beaches. 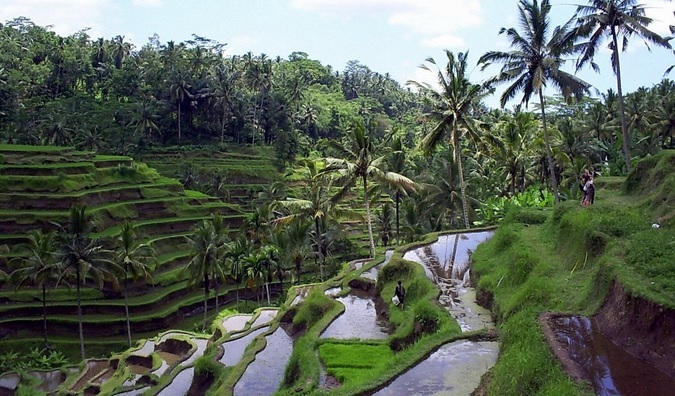 Then head to Ubud where you can escape from all the city routines. Go here and you will find peace and tranquility. You can enjoy Balinese traditions at its best. And also interact with local artist when visiting some of its famous galleries like Blanco Museum. Or if you want some adventureous experiences. Try trekking in Goa Gajah. Ubud also serves lots of restaurant. Mainly are healthy conscious food. New place to try is Locavore, named one of the best new restaurant in Asia. Here you can try many international and local food done with gastronomic style. A one of a kind restaurant to try. Another must visit is Blanco par Mandiff, which serves fantastic out of the box food to try. Ubud is also knows for its festival. come every October, to see Ubud Writers and Readers Festival, where you can brush shoulders with many international artist and join their workshop for some writing tips. If there is one beach you want to visit if it is your first time in Bali. Then heads to Kuta Beach. The spot for beautiful people relaxing on the white sandy beach. Kuta is also known as a great surfing spot. Where you can ride great waves, or learing how to ride a surf from the pro. Best visit Kuta before sunset. You can enjoy the beach and also interact with many visitor from many countries. And the topped the day off by enjoying a coconut drink while waiting the sun set beautifully over at the horizon. Many restaurant in the area have an outdoor seating venue. Where you can enjoy food and drinks while waiting for the sunset. Visit also Hard Rock Hotel if you want a comfortable stay. Inside you can find pool filled with sands which is a favourite among kids. Grab some food at Jamie’s Oliver restaurant where the serves fantastic Italian menu. And a killer selection of dessert. Located in the east side of Sumatra, Belitung is an island that offer stunning view: white sand and clear blue water. Visit Tanjung Tinggi Beach, where you can see unique rock formation and enjoy snorkeling all day long. A place where the shooting of Laskar Pelangi movie takes place. 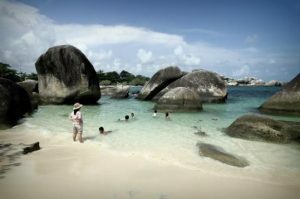 A new area of beach that is a must visit to is, Membalong, on the south side of Belitung. It is still pristine out of tourist touch. Where you can relax in the white sandy beach witouth being bothered by public. Still not many hotel in this area. But you can stay with local people just by paying Rp300.000. If you like trekking head to Mount Kubing, here you can do trekking and then dip yourself into a natural laguna with ice cold water mountain. A fresh and relaxing feeling. Belitung is also known for its mine, you can visit an old minery where you can do tour to experience how the mine work in the old days. Thus, there are many great things to do in Indonesia for your best holiday. Meanwhile, Indonesia is well-know as the country of heaven. People love to come to Indonesia, whether local or international tourists, to see and enjoy the beautiful and unique nature of the country. From north to south, the go to west to east, every inch of Indonesia is perfectly beautiful. So, go grab your lovers to the best places to visit in Indonesia right away.